The Bishopthorpe Local History Group hold a collection of local archives that have been given to the Group by many individuals. These consist of photographs, postcards, minute books and assorted ephemera relating to the village. They are catalogued and stored in archive-safe boxes and sleeves, funded by the Bishopthorpe Millennium Trust. In 1950, Bishopthorpe’s Village Hall, originally known as the Reading Room, was gutted and enlarged. 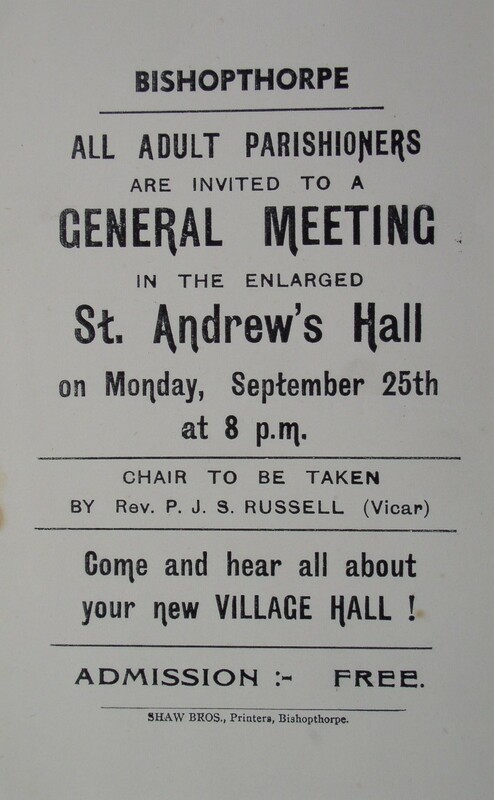 The renamed St Andrew’s Hall included a much-needed stage for the many concerts and amateur productions held there. The work was carried out by local builder W. J. Simpson. 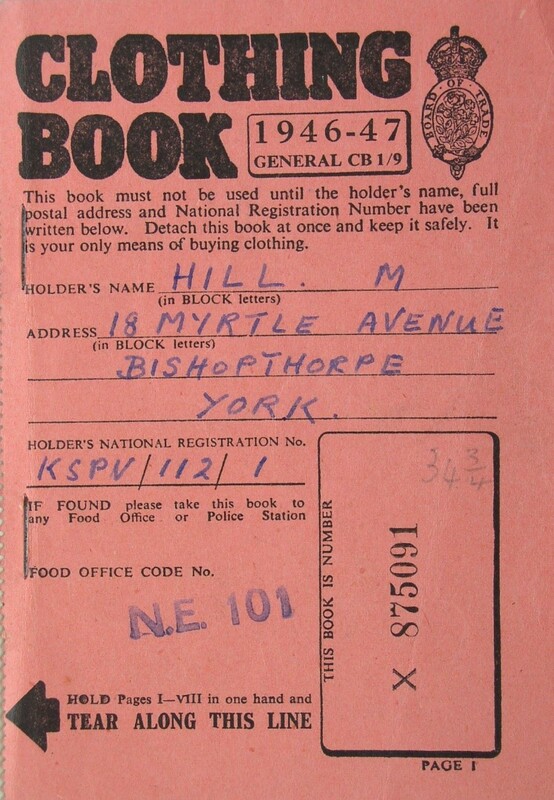 Mrs May Hill’s clothing ration book. During World War II all sorts of food items were rationed as well as clothing, furniture and petrol. Clothing coupons were introduced in 1940 and continued to be used until 15 March 1949. 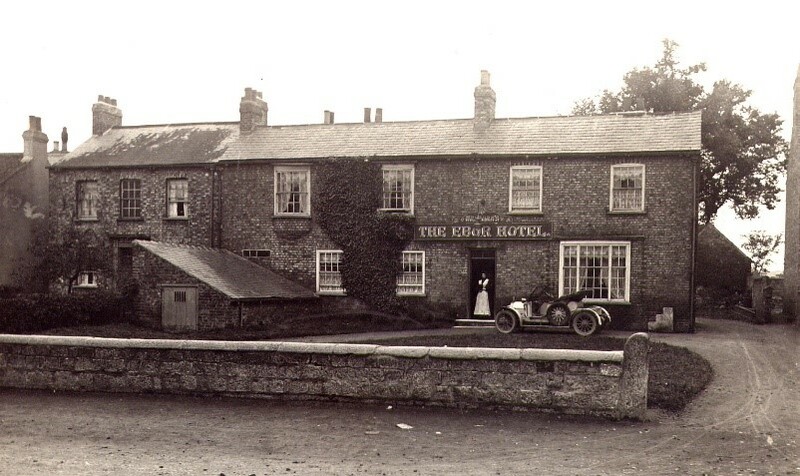 The Ebor Hotel in 1912 when the proprietor was Mr William Welburn.